As India gears up for the polls, Prime Minister Narendra Modi is the defining issue around which the elections are being fought. Those who dislike him are out in the open in full force and those who idolize him are rallying. But these elections are being closely watched around the world for reasons beyond Modi. Irrespective of whether Modi is liked or disliked by constituencies in India, it remains a matter of fact that he has managed to galvanize Indian foreign policy like never before. One has to go all the way back to Jawaharlal Nehru to see how influential Modi has been in projecting India on the global stage. He has given the nation a new voice, distinct from the past and he has managed to make the world listen carefully to India’s aspirations. He has rallied the world to causes which India holds dear such as terrorism and he also reconfigured Indian responses to global issues from diffidence to a more confident assertion of Indian interests such as climate change. Modi almost singlehandedly managed to recover the ground for India which was seemingly lost amidst the policy paralysis of the second term of the United Progressive Alliance government led by Prime Minister Manmohan Singh. If for nothing else, he deserves credit for this important achievement. Where five years back the world had given up on India, today once again there is a recognition of India’s potential and hope that India can match its rhetoric with action on the ground. While the discourse during the election campaign is likely to be dominated by Pakistan, Modi’s foreign policy has been largely about managing China’s rise. This has very little to do with Modi himself. Rather the structural realities surrounding India are such that any government would have been forced to reckon with this challenge. This will also be a constant going forward. Whoever comes to power after the elections will have to deal with the consequences of China’s rise. The challenges of India’s entry into the Nuclear Suppliers Group and India’s bid to designate Pakistan-based Jaish-e-Mohammed chief Masood Azhar as a global terrorist by the United Nations Security Council continue to underscore how dramatically India’s strategic environment is being shaped by China’s rise. Modi has been deft in managing the China conundrum. He stood up to China during the Doklam crisis and challenged China as it pursued the expansion of the Belt and Road Initiative much before the rest of the world. Yet he also reached out to the Chinese leadership with the Wuhan summit. As India assesses its strategic environment, its political leadership, irrespective of party affiliations, will have to contend with the China factor more and more. New Delhi has already wasted a lot of time in not adequately assessing the China challenge over the previous two decades. It cannot afford to be nonchalant anymore. New Delhi’s outreach both towards the East and the West will be heavily circumscribed by the growing Chinese footprint. And it will need all the help it can get from like-minded partners. Modi gave up India’s past ambivalence about the West and, in particular, his engagement with Washington has been shaped by his conviction that that India and the United States have overcome “the hesitations of history” allowing him to move towards ever-stronger economic and defense ties between the two countries. The resurrection of the Quad involving the United States, Japan, Australia, and India is as much a function of China’s aggressive behavior as a recognition in the leaderships of these nations that keeping aside such arrangements for fear of offending Chinese sensitivities is no longer practical. 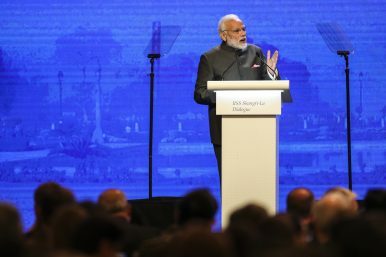 Modi’s articulation of the centrality of the Association of Southeast Asian Nations (ASEAN) in India’s Indo-Pacific vision is about assuaging Southeast Asian concern that their region will become the cauldron of major power rivalries if not managed carefully. In this, his emphasis on the cultural connect to reach out of India’s eastern neighbors has added a new dimension of India’s engagement with East and Southeast Asia. As India reimagines its strategic geography towards the Bay of Bengal, it can seamlessly make a case of a natural connection with Southeast Asia via India’s northeast, thereby leveraging India’s unique geography as well as Southeast Asia’s growth trends. But for India, the western Indian Ocean will continue to be of great significance. And that’s the reason why India has had a much more expansive definition of the Indo-Pacific compared to some other regional powers, especially the United States. Modi wants India to have a central role in a region that, according to him, stretches from the shores of Africa to those of America. India’s growing footprint and diplomatic engagement in the Middle East and its attempts to deliver connectivity from Southeast Asia to Africa underscore this recognition. There is no doubt that Modi’s foreign policy has been vigorous and driven. The question remains if this focus can be sustained after the election. India continues to suffer from a capacity deficit and its ability to deliver remains questionable. The next government will have to work on these with singular focus if the present momentum in Indian foreign policy is to be sustained. Indian Prime Minister Narendra Modi must inject the India-Pakistan relationship with vision.